Personalized Rainbow Candy Landy Birthday Outfit For Girls With Any Age! What little girl does'nt like Candy? 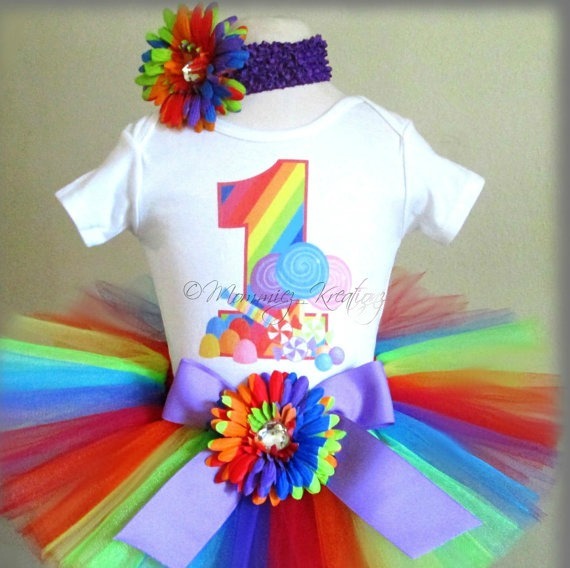 If you are having a Candy themed party this tutu set is perfect for her. Designed with her age and yummy candy. This set is sure to be a hit! This tutu set is perfect for birthday celebrations, special occasions or everyday wear. Tutu, Personalized Shirt and hair accessory.